← Lionel Messi returns today! 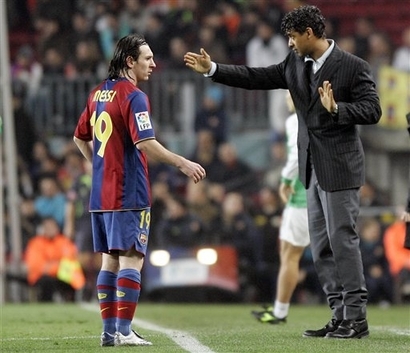 FC Barcelonas Dutch coach Frank Rijkaard, right, gives instructions to his player Lionel Messi, from Argentona, against Racing Santander during their Spanish league soccer match at the Camp Nou Stadium in Barcelona, Spain, Sunday, Jan. 20, 2008. 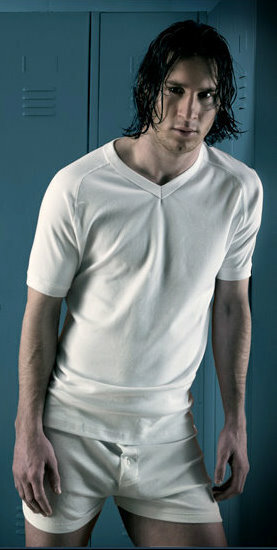 Messi is back!